Do you want to edit your permalinks setting in WordPress? Sometimes you may need to adjust the URL structure of your pages, posts, tags and more to improve your search engine rankings. Having a unique URL style can attract your visitors too. In this tutorial, we will share how to customize your WordPress permalinks easily. WordPress has its own URL settings that affect all the website links. 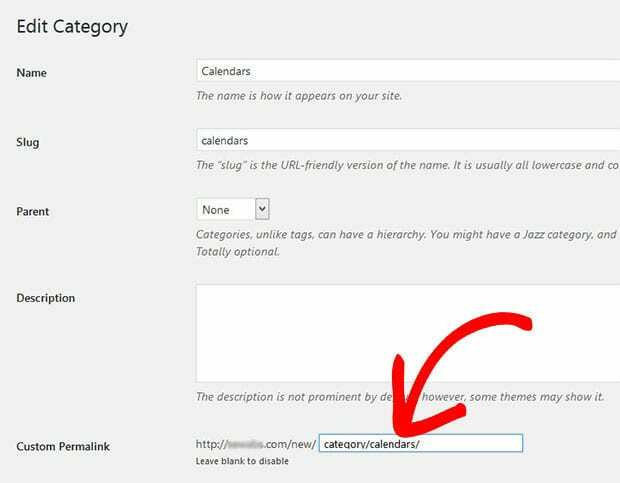 To edit the URL structure, you need to go to Settings » Permalinks. Since changing the permalinks setting in WordPress from here will affect all the links, let’s take a look on a how to change the links separately for pages, posts, categories, tags, and more. As you add a page/post in WordPress, it generates a URL automatically on the basis of the title of page/post. It is also known as Slug or Permalink. This URL is based on your WordPress permalinks settings. You can edit it and customize the URL as you need. However it will not effect your basic WordPress permalinks structure. Make sure to click on Update button after you edit URL in page or post. 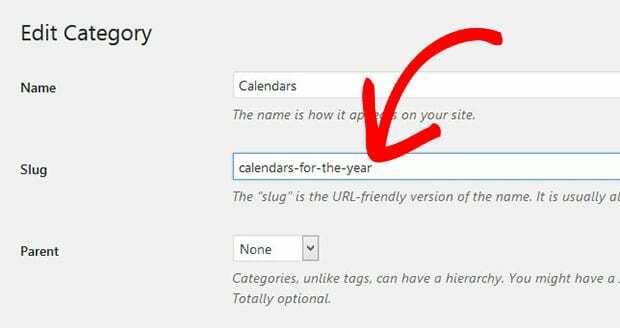 Similar to pages/posts, you can change the URL of your WordPress categories and tags. Simply go to Posts » Categories and click on the category that you are changing the slug for. In the Slug field, you can add your URL for this category. The basic WordPress permalinks structure will remain the same. Make sure to Update this category. Use the same method to change the URL of the tag from Posts » Tags. To completely customize your WordPress permalinks structure for one individual page, post, category, tag or more, you’ll need to use a plugin like Custom Permalinks. You should check out this guide on how to install a WordPress plugin. Upon installing the plugin, you should edit your page/post. 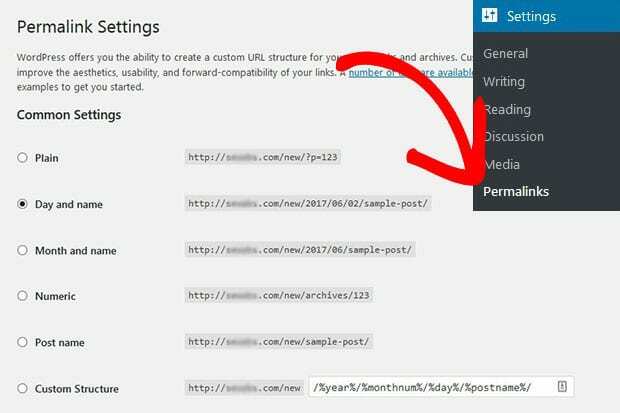 When you click on the Edit button next to the URL, it will allow you to add custom permalink for page/post in WordPress. Next you can go to Posts » Categories and click on any category that you need to customize your WordPress permalinks for. You’ll notice a new field for Custom Permalink that will help in changing the WordPress permalinks structure for this category. Go ahead and repeat it for any tag, taxonomy or custom post type in your WordPress site. We hope this tutorial has helped you to learn how to customize your WordPress permalinks. You may also want to check out our guide on how to create a WordPress slider with call-to-action button and read about the 25 most common WordPress errors and how to fix them.